This was the first instance of gold being added to the forex reserves since 2009. The Reserve Bank of India (RBI) has added 2.5 tonnes of gold to foreign exchange reserves for the quarter ended March 2018 in two tranches. This is the first such addition after 2009, when the central bank bought 200 tonnes of the yellow metal from the International Monetary Fund (IMF) at $1,032 per tonne. 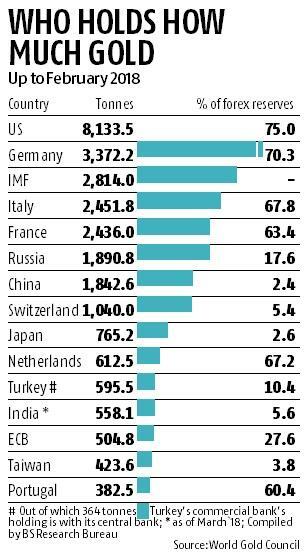 According to IMF data (updated till March 2018), India’s gold holding in forex reserves rose to 560.3 tonnes by the end of March 2018. The RBI did not respond to email queries till the time of going to press.“The addition looks like a pilot purchase. The net impact is that reserves are up marginally. This is not significant and does not imply strategic addition, unless we see a creeping acquisition trend,” a source said. “This was a decision taken by the government before the Budget presentation. But due to the sensitivity of the issue, it was not announced,” another source added. Globally, central banks, including in Russia and Turkey, add gold to forex reserves to hedge against the dollar. The Turkish central bank announced a policy in May 2017, replacing the dollar as a prominent asset in its foreign exchange reserves. Turkey’s commercial banks also hold huge gold deposits. These are placed with the central bank under the reserve option mechanism. The country is the 11th largest gold-holding country in forex reserves at 595.5 tonnes. Russia has been buying over 200 tonnes of gold per year since the last three years to add to its forex reserves and reduce dollar dependence. Its reserves are bigger than China’s, making them the sixth largest in the world. Russia and China buy most of their gold locally since they are prominent gold miners. According to sources, India could add gold mobilised by the Gold Monetising Scheme to its forex reserves. The RBI was likely to have purchased gold in March from two London-based banks, they added. Gold buying by central banks has been on the rise in the last few years, with 350 to 400 tonnes of gold being bought annually. China buys gold locally, but announces with a lag. 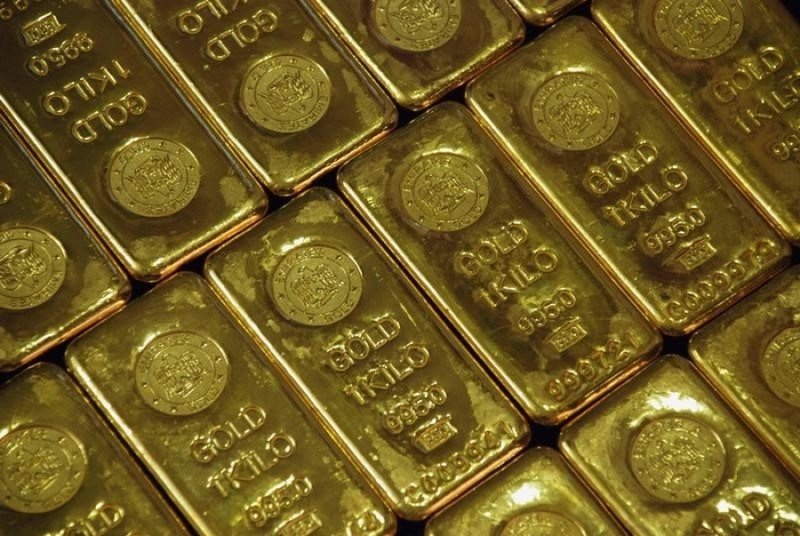 However, according to GFMS Thomson Reuters, China will buy gold this year to add to its reserves after two years.